On this date in 1584, Samuel Zborowski was beheaded at Krakow’s Wawel Hill for treason and murder committed ten years before. A monument to the timeless abuse of the prosecutor’s discretion, Zborowski (English Wikipedia entry | Polish) was a powerful nobleman who got into a snit when nobody of equal stature would enter the lists with him at a tournament. 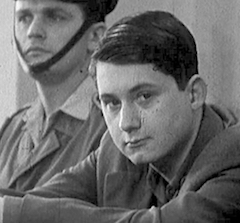 Instead, his challenge was answered by a common trooper in the retinue of the castellan of Wojnice,* one Jan Teczynski. 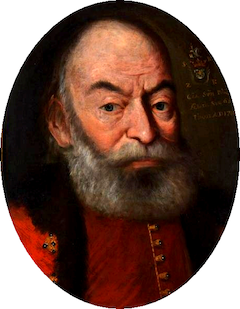 Pissed at the affront, and doubly so when his own retainer was defeated by Teczynski’s, Zborowski went right after Teczynski right there in the presence of the newly elected Polish king, Henry de Valois. ** The affront of lese-majeste was compounded when Zborowski’s flailing mace mortally wounded another castellan who attempted to intervene. The outlawed Zborowski fled to the protection of Stephen Bathory,† Voivode of Transylvania. That might have been that, and left Zborowski to join Europe’s forgettable ranks of exiles, adventurers, and pretenders playing out the string under the patronage of some foreign prince. But when the elective throne of mighty Poland came open soon thereafter, Zborowski’s patron decided that he liked the look of it — and he obtained the result, with the help of a dynastic marriage into Poland’s Jagiellon dynasty of illustrious memory. Since the Zborowskis had been big supporters of Stephen Bathory, Samuel returned as well, justifiably anticipating not merely pardon but elevation. To their dismay, they found themselves frozen out … and they responded with a series of insubordinations: plotting with the invading Russians, fomenting an unwanted diplomatic crisis with freelance attacks upon the Ottomans. 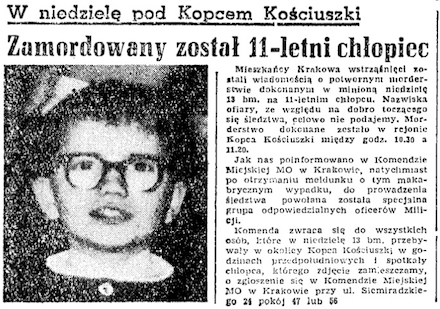 In the end, our man was undone by the same violent highhandedness that had forced his flight from Poland in the first place. Zborowski’s ill treatment of the young lute composer Wojciech Dlugoraj left the latter so desperate to escape Zborowski’s court that Dlugoraj stole some treasonable correspondence between Zborowski and his brothers and sent it to Zborowski’s enemy, Jan Zamoyski.‡ Those letters indicated that Samuel was contemplating assassinating the king. Zamoyski found, and Bathory agreed, that the most expedient way to remove this troublemaker was simply to execute the 1574 sentence, from that bludgeoned castellan. The new regime had conveniently never bothered to lift it. 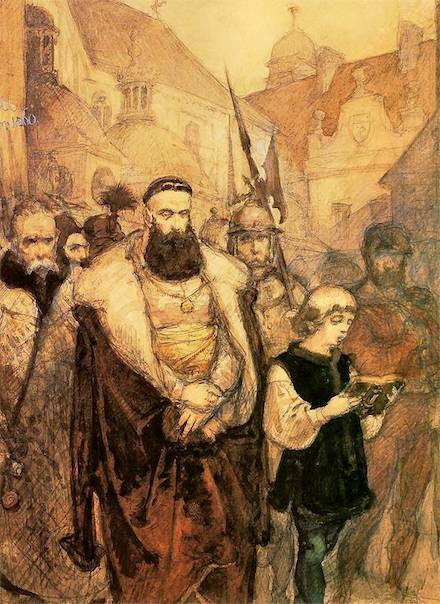 Jan Matejko‘s 19th century rendering of Samuel Zborowski en route to beheading. * At the time an important fortified city, Wojnice or Wojnicz was ravaged by a Swedish army in the 1650s and never recovered; today, it’s a town — having only re-promoted itself from “village” status in 2007 — of fewer than four thousand souls. ** This youngest son in the French royal house had seemed to the Valois safe to make available on the transfer market for foreign sovereigns. However, his brothers’ uncanny talent for dying young without issue very soon required his return to his homeland to take up the throne of France as Henri III during that country’s Wars of Religion. There Henri proved not to be exempt from the family curse: we have previously explored the circumstances of his own violent death — which was also the end of the House of Valois — during the War of the Three Henrys. † A legendary surname in the annals of horror. This Stephen Bathory was the maternal uncle of the infamous “Countess of Blood”. ‡ The gambit did indeed get the scared lutenist free from Zborowski’s control, but he had to flee to Germany for fear of Zborowski kinsmen’s vengeance. 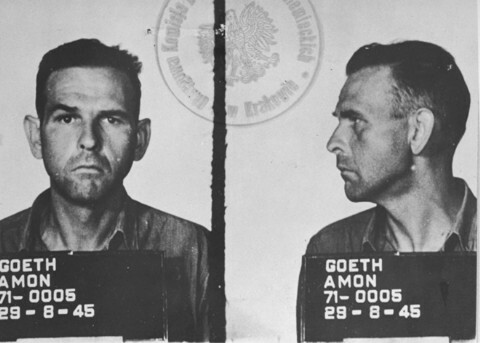 On this date in 1946, Plaszow concentration camp commandante Amon Göth was hanged near the camp site by Poland’s postwar Communist government. A short-drop strangulation is not the way you’d want to go. It turns out, though, that Steven Spielberg (ever the sentimentalist) seriously tidied up the proceedings. Amon Goeth does bear a passing fair resemblance to Ralph Fiennes. To judge by their getup — dig the masks! — the executioners might have been Batman and Robin.